Your culture is not mine…or is it? America’s tense relationship with high culture. As a half French, half American individual, I give in to a pastime common to double nationals, which consists of regularly comparing both countries of origin. 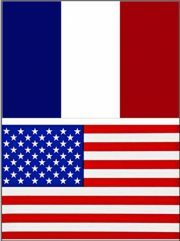 A particularly provoking exercise in the case of France and the United States, because though the two nations share history, values, cultural ties, (in that profound sense of artistic, religious and philosophical influences), they also encounter some mutual irritation and bickering. My intention is to point out these differences, only in so much as they may clarify the decidedly diverging relation the two countries entertain with high culture. While this divergence may, to a certain extent, be explained historically and geographically, it cannot be so entirely. High culture has been defined generally as” ….all that is best in a culture.”1 And the ruling consensus is that high culture includes all traditional artistic expression – ballet, poetry, theater, opera, painting, literature, classical music, film – of a quality surpassing national frontiers, by way of a universal appeal, even if such artistic work is clearly identified as originating from a particular culture. Leo Tolstoy, for one, noted the importance of a spiritual connection between the author of a work and its recipient.2 The American philosopher John Dewey,3 for another, considered that the individual artist’s creative expression could, by being ‘consumed’ by another person, reveal by the same token the character of that recipient. Finally, high culture is seen as transcending any immediate moneymaking goal. In the 1964 French film sketch ‘Les Routiers melomanes’ (The music expert truck-drivers), starring Jean Yanne and Paul Mercey, two truck-drivers are doing their night shift together. Wearing wife-beaters, both display, in appearance and language, the plebeian coarseness expected of their profession. Yet as the one not driving, prompted by boredom, turns on a favorite radio station, we discover that they are both highly sophisticated connoisseurs of classical music, deftly able to argue the merits of a Beethoven quartet interpretation, as well as of other classical pieces; even as they continue to intersperse their highfalutin exchange with vulgar invectives directed at passing drivers. They amaze us still more, later on, by discussing the poetry of Charles Peguy, (who, to be fair, is about as easy to read as it is to listen to music by, say, Karl Heinz Stockhausen), with the same passionate expertise and sensitivity. Some of us may laugh at the contrast between blue-collar status and such an unexpected display of rarefied erudition. Some of us may not. Indeed, such socio-cultural discrepancy is not so far-fetched in France, a country renowned for its native infatuation with high culture, French or otherwise. High culture is enthusiastically promoted in public and private schools alike and, generally throughout a society that is close to its culture; literally, at every step, be it in its urban centers or in its countryside. In no other country, that I know of, is public opinion more indulgent and admiring of an individual’s inclination towards high culture. Ultimately, one’s relation to culture is considered to be a personal exchange between artist and recipient, a deeply sincere, quasi-religious one. From a French point of view, therefore, the situation depicted in the sketch ‘Les Routiers Melomanes’, may be considered as less of a joke about the contrast between social status and the expert refinement displayed by these individuals, and more of a poking fun at the native frenzy for culture in any circumstance. I am almost certain that in the United States the sketch would be understood as a warning against class prejudice and division. Famous actors Gerard Depardieu and Fabrice Luchini are both from very modest social backgrounds, the former having sojourned in prison in his nearly illiterate youth, the latter having begun his career as a hair-dresser’s assistant. Yet, both have risen today to fame, not only as icons of classical French literature through their enacting of well-known literary characters, but also as legitimate authorities on French literature and poetry. Over time, French education has also inoculated citizens from former colonies with some of the same passion for French culture, and culture in general, and it is not unusual to find oneself discussing Balzac or Rimbaud, with a Senegalese taxi driver during one’s ride through Paris. The sheer number of articles and essays published on the United States’ educational and cultural decline – tainted either with suspicion, resentment or nostalgia – as some question the value of high culture or, on the contrary, deplore its abandon, or again, propose a blending together of high and popular culture, or even the deletion of the former, deemed passé – illustrates how, in America, contrarily to France, socio-political ideology has intruded in the arts domain, and how strained and somewhat unspontaneous is the country’s relationship with high culture. In her 2013 New York Times piece4, Patricia Cohen gives the statistics, from 2008 to 2013, of an overall decline of visits to museums, to the theater and classical music concerts, ballet shows, (despite a slight rise in attendance at jazz concerts and movies). Her conclusion remains, nonetheless, mildly optimistic as she evokes rising costs of tickets for the performing arts, the degree of accessibility to shows, and the availability of modern home technology allowing households to enjoy the arts at home. Daniel Asia, more pessimistically,5 notes ,already for the earlier period 1982 to 2008, a drop in attendance from a previous 13% to 9.3% for classical music concerts, from 12% to 9% for plays, a sharp fall of 50% for ballet. Jazz concerts – spared a decline in Ms. Cohen’s article – show a fall from 10.8% in 2002 to 7.8% in 2008. In fact, virtual connection to culture often does replace the direct, physical connection that is yet so essential for a full impact of a performance or an exhibit on our emotions. But a more fundamental reason for this distancing with high culture, is, most probably, poor schooling – what the economist and socio-political commentator, Thomas Sowell, calls ‘gimmicky education’, one pervaded by the notion that a student must ‘feel good’ about himself rather than receive a formal education.6 The gradual disappearance of cursive writing from school (though some schools are now bringing it back after noticing the nefarious effects of its vanishing)7, may, all at once, be a symptom of this distancing and underscore a tendency to simply abandon certain cultural habits that used to link the individual more seamlessly to his history. Another cause or derivation of this cultural deficit may be the overall drop in literary reading.8 It is, however, the pervasive ideological discourse on social equality and how to achieve it, that must be held most accountable for this avalanche of sorrowful assessment of a general alienation from high culture. Indeed, this scrutiny in favor or against high culture in America, reveals the interference of a socio-political self-consciousness in the world of the arts and high culture. The moral posturing employed in this interposition, in an attempt to impose a corresponding social framework, tampers with creative integrity as it proclaims authoritatively what is moral and ‘right’. This is not to say that all earnest affection and cultural identification with certain American artists has disappeared. In my New England region, Robert Frost and Emily Dickinson are examples of such enduring and sincere cultural attachment. And yet…and yet one can’t help wondering, amidst the country’s current cultural climate, if there is not also, beyond a genuine appreciation, the hint of a surrender to politically correct pressure, to a tacit consensus that these poets are ‘safe’ to admire, unlike other great authors. The resistance against high culture entails, therefore, the suppression of works regarded as offensive, by first ridding them of a certain majesty and placing them on a level with popular and commercial culture in the name of a more ‘modern’ cultural outlook. Such a process may lead to adapting a great work by selecting parts of it and reducing that selection to an identifiable icon or slogan, that can then be introduced to the realm of marketing and commerce. Da Vinci’s Mona Lisa and ‘The Kiss’ by Gustav Klimt typify such a process. The American consumer of the arts is made uncertain of his taste for high culture in an environment in which high and popular culture become increasingly co-mingled, and in which moral criticism, condemnation, are in constant ebullition. The consumer of high arts is directed or pressured towards a more ‘omnivorous’ consumption, implying a less ‘elitist’ spectrum of culture.12 This broadening process, which, by the way, any cultivated and culturally confident individual performs on his own, at his own pace, out of natural curiosity, is force-fed to him by mass media and other forms of public prepping as an exercise in redemption or prevention from ‘elitism’. The fundamental difference in cultural outlook between France and the United States may perhaps be reflected in the twin expressions: Down to earth and Terre a terre. The former, frequently used by Americans, conveys a positive and enviable quality. The latter, in France, connotes, to the contrary, a certain disdain and suggests a lack of aesthetic, intellectual and ultimately spiritual elevation of the sort that should spring directly from the human heart. In the American expression can be found the influence of a democratically egalitarian ideal. In the French expression can be found the remains of a chivalrous ideal fraught with romanticism, and which America characterizes with some diffidence as ‘elitism’. And yet it is not as if Americans have always been blind to those effects of a certain type of egalitarian idealism on individual self-determination and creativity. In fact, in the American passion for individual freedom and devotion to a certain view of social equality, there is a strange yet fundamental paradox. Ultimately, the two sides seem fated to clash until one is defeated one way or another. It is worrying to see individual freedom being challenged and restrained in the United States’ leading democracy, in a way somewhat reminiscent of regimes vigorously condemned by American principles. Though noble and, in many cases, necessary, activism in the United States has also, to a considerable extent, given in to political bias and propagandizing; which, in turn, has led to an abuse of socio-political interventionism. In still more sinister fashion, however subtly it may have been conducted, activism has led to the censuring of individual freedom of thought and speech. Certain types of activism in America that are focused on culture, are clearly over-stepping the line that separates democratic values and the invasion of individual freedom. Daniel Asia,16 points out that in the USA, popular culture was always taken more seriously than high culture, partly because of the moral approach evoked above. Yet the upsurge of popular culture in the 1950s, instead of melding different racial and economic groups of Americans together, opened the way to aggravating forms of blame and division, and led to what is commonly called ‘identity politics’. Homosexuals, women, Native Americans, African-Americans, demanded to be acknowledged as significant yet, somehow, separate segments of American society. As Michael Sliwinski indicates,17 this popular movement, improperly structured because devoid of intellectual leadership, and which, later, vented its views through mainly virtual modes, gradually led to a phenomenon of protest for the sake of protesting; as if mere agitation and clamoring could culminate in the desired result, whether the result was clearly determined… or not.18 In the 1960s, culture became a political weapon towards change.19 Any residual individual aspiration to experience the arts, unfettered by politics, seemed to gradually dwindle on the American horizon like a lonesome cowboy of the past. Meanwhile, activism seemed to spread like a rash across that previously hallowed ground of creativity. The direct encounter between artist and individual is increasingly and conveniently replaced by a ‘plug-in’, emotionally atrophied globalism. Easy access to text, image, music, etc, and the consequent fluid virtual traveling of works of art and their swift manipulation by technology, blurs more and more the distinction between the genuine creative act and the consumer; useful, and to an extent, educational, giving quick access to information, virtual engineering also facilitates, with growing shamelessness, the possibility to ‘correct’, according to current acceptable socio-economic norms, any given artistic expression. American activism employs the ‘soft’ method of victimization to filter its demands. Even nature, in its unsullied grandeur, was once, as a purveyor of personal solace to all, left outside of political debate. But it seems that it is now also being implicated in an environmental activism that does not seek strictly to help preserve nature, but also feeds a political debate with an over-all socio-political message. In ‘Histoire du Juif Errant’ (1990) the French writer Jean d’Ormesson wrote that one would have to travel very far indeed to no longer be able to appreciate emotions common to all mankind. In fact, unlike much of today’s activism in America, that only pretends to speak for the individual, authors like Tolstoy, Victor Hugo, Dostoevsky, Steinbeck, though considered as social critics of their time and place, spoke, in fact, first and foremost to and for the individual’s sake, wherever he might be. Any intervening force, be it religious or political, that tampers with a personal encounter between artist and consumer of the arts, is bound to lead inevitably to a culturally impoverished society and a manipulated individual; or, to what Joseph C.Hermanowiecz calls: ‘The Culture of Mediocrity’ (2013). One possible outcome of such cultural activism might be a backlash from a growing portion of society refusing to be herded into a single cultural format. Activism having such a consequence, would, therefore, increase social strife and division rather than achieve the proposed goal of a multicultural harmony. Cultural activism in the United States attacks a perceived supremacy of European culture as a villain holding hostage the vital innards of American society. One may fear, however, and with good reason, that one form of supposed supremacy may, ironically, serve as excuse to shape another far more inescapable supremacy: of a sanitized culture ruled by a singularly undemocratic globalism. In such a case, individual imagination is bound to wither. If high culture is the self-consciousness of a society18, yet is contained or eliminated by a biased form of censorship, and replaced by cultural standards that fit a certain contrived idea of social harmony, that society is bound to become troubled and emotionally void. Rather than diligently warn against cultural expressions arbitrarily identified as passé, racist, supremacist – a method which undermines the individual’s right to self-determination – it could be more to the point, and more inclusive, to simply acknowledge the benefits of high culture to everyone. Through the individual, any kind of cultural encounter is possible. It has been shown that great art welcomes tribute from any kind of individual variant at the intersection of social, economic, educational factors. Here lies the magical appeal of the high arts for anyone, if experienced on the grounds of intrinsic merit; in other terms, at a level where neither ideology, racial/racist considerations, social gradings, nor commerce are given precedence over a work’s essential appeal to an individual. Authentic human emotion creates bonds that irresistibly breach conventional social types, bringing humanity together far more efficiently than any ideology. And left to its own devices, the power of culture is unstoppable in bringing together, say, a Chinese accountant and the short stories of J.L. Borges, an Ojibwa Native American and the Indian sitar, Mike Tyson and Baroque castrato music. In summary, to privilege high culture, is, in my humble view, a way to bypass the sadly unsatisfactory bouillabaisse of the multiculturalism offered by media and commerce, for a far more genuine meeting between individuals of different cultural origins and/or social circumstances, bolstered by the highest levels of artistic expression, where they may seek together common values. Stephanie V Sears © 2019. 17 Michael Sliwinski/The Evolution of Activism: From the Streets to Social Media/2016.